In process, motion control and instrumentation applications in industrial settings, fluid delivery systems that are powered by compressed air require secure, leak-proof joints capable of withstanding high pressure, vacuum and vibration situations. 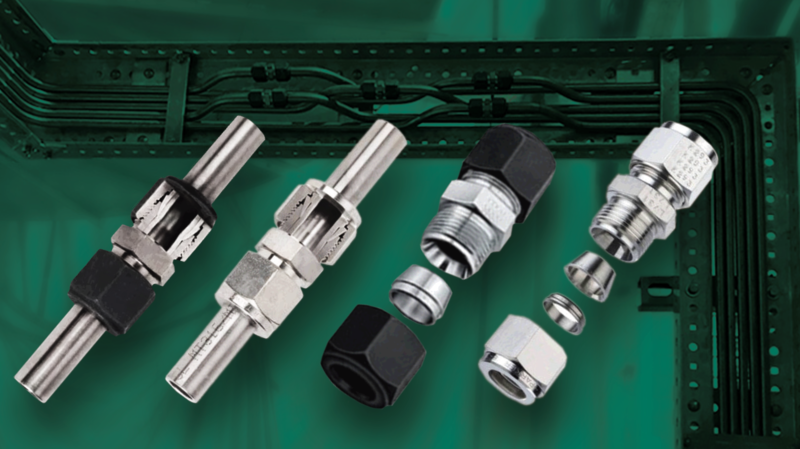 While leakage can come from any part of the system, the U.S. Department of Energy identifies couplings, hoses, tubing and compression fittings as the most common problem areas. In this white paper, we identify five common conditions that can cause leaks, corrosion, inefficiency and downtime. Each of these conditions can be minimized or eliminated by implementing compression fittings that offer a balance of simplicity, hardness, strength and corrosion resistance.